We are very particular about sourcing our cars and choose them very carefully. The majority are part exchanges sourced directly from Main Dealers, and we travel the length and breadth of the country to get the right cars. We don't buy them all. Simply put, if it's stocked by us - it's a good one. We do this as quality stock sells more easily. Better for us, better for you. All cars are Experian Autocheck clear in every respect, with certificates to prove. Having targeted the best stock we possibly can, we then drive them, extensively. Only then can we begin to get to know the cars we are selling. Any issues that present are then addressed by our trusted mechanic. If a service is due, the car is serviced prior to sale. The second phase is the CSS Valet / Detail which is always undertaken by ourselves, taking hours (we enjoy it), every inch of every car receiving the 'hands on' treatment to present the car at it's very best. A common feedback theme we receive apart from 'friendly & helpful' is 'exactly as described'. All cars have a 3 month parts & labour warranty at sale, we no longer use the services of a third party warranty provider, as the incidence rate is so low, we now fund any works directly. We are that confident in our stock. We will consider anything in Part Exchange. We specialise in the sale of Mazda MX5s, having sold some 200 to date, and have consequently built up some sound knowledge along the way. 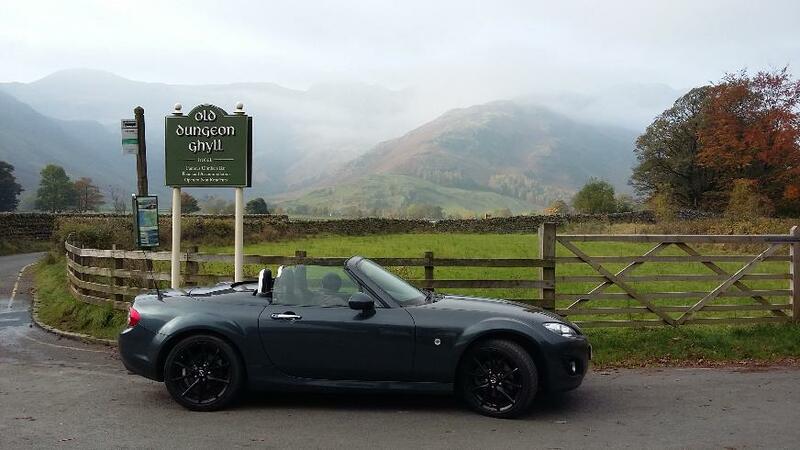 We stock other cars of course, but MX5s are a passion for us. Why? They are great fun to drive and are guaranteed to put a smile on your face. Mechanically they're pretty bullet-proof too. Don't miss out! We feel our knowledge of these great little cars is second to none - deservedly the world's best selling sports car.